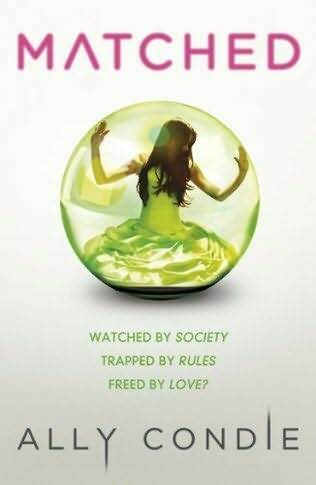 This book takes place in the future, in “the Society”. In the Society, “the Officials” decide who you marry, where you work, when you die. Cassia, the main character of the book, gets “Matched”(similar to being engaged) with the boy she has known all her life, Xander, but she starts to have certain feelings for Ky, a mysterious boy that lives near her. Cassia has to choose between her Match, who is her best friend; or Ky, who knows things she doesn’t, which makes him more interesting. Cassia is in a very difficult situation, because choosing Xander would mean a perfect life; and choosing Ky would mean a life filled with adventures. Who would Cassia choose in the end…?